Internal Communication Platform Benchmarks: Do You Have Control of Your Newsfeed & Employee Content? 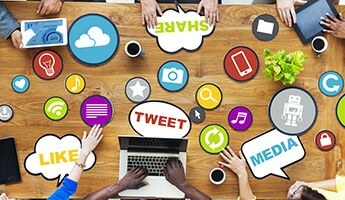 The newsfeed, or content feed, plays a critical role in every internal communication platform. But many companies have issues that arise from their own platform’s newsfeed. Here, we’ll examine what companies should expect from an effective and informative communication feed for employee content. So what is a newsfeed? How does it work? 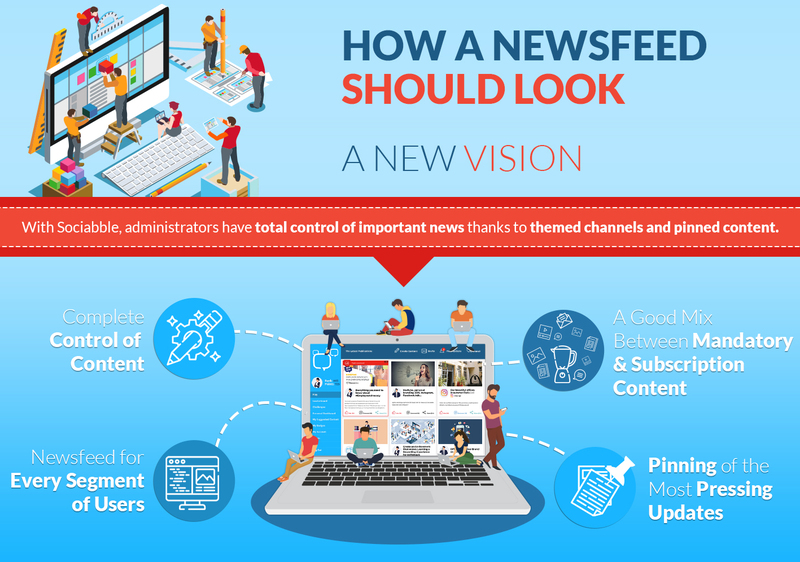 Essentially, the newsfeed is the aggregated content, usually continuously updated, that an employee will see when they log into their internal communication platform. Many platforms have more or less replicated what users have become accustomed to on social media sites. 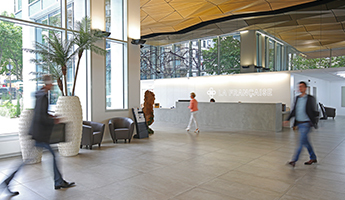 A constant stream of current posts and comments, with an algorithm determining which employee content is important and worthy of a more visible position. Users have the chance, in many cases, to like, share, or comment on the content in a way that would be familiar to them from other social media sites. They see what content their co-workers and administrators are generating, and they see how they feel about the content of others. The newsfeeds of popular social media sites like these have influenced how internal communication platforms share news. But the way content is shown on the newsfeed often poses problems. “The Cat Effect” is real. And it can skew the newsfeed away from important news. In theory, basing the priority given to employee content around its level of raw engagement may seem sensical, but it can cause some major problems when it comes to company communication. One of the best examples of this is “The Cat Effect.” Effectively, one company we spoke to had a content stream in which employees began posting pictures of their cats. Obviously, because everyone loves cute pictures of cats, these generated high levels of engagement. 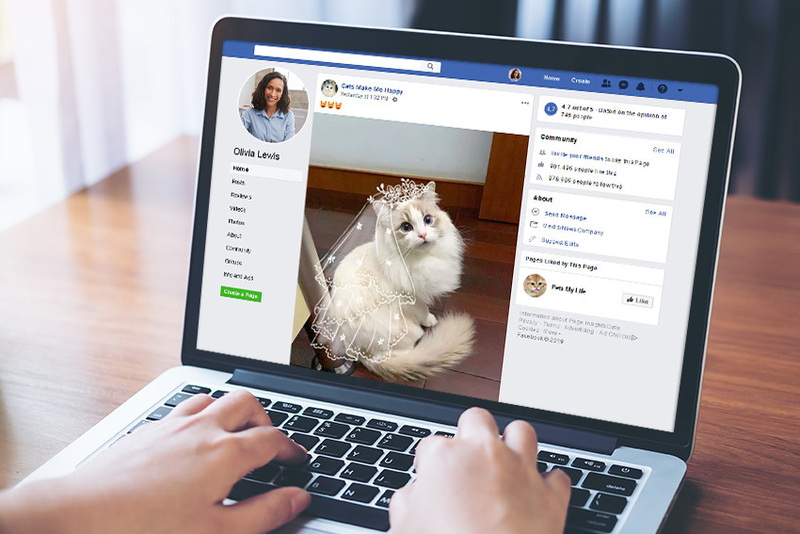 But because the algorithm of the newsfeed prioritized content based on engagement, the entire newsfeed was overrun with pictures of cats, drowning out important company updates and news. The intention of the algorithm backfired, and turned what should have been an important tool for keeping employees informed of industry and company news, into an entertaining but essentially useless content feed of cat pictures. And even in the case where feeds don’t experience “The Cat Effect,” the question remains: is a scrolling newsfeed like that of LinkedIn or Facebook really the best way to share important company news? 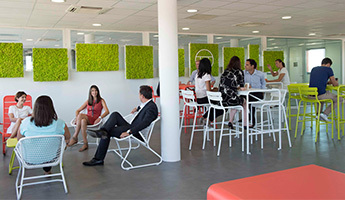 Is it enough to get employees engaged? When platforms rely on engagement-based algorithms like those of social media sites, some unexpected things can pop up and clutter the newsfeed. How a newsfeed should look. A new vision. 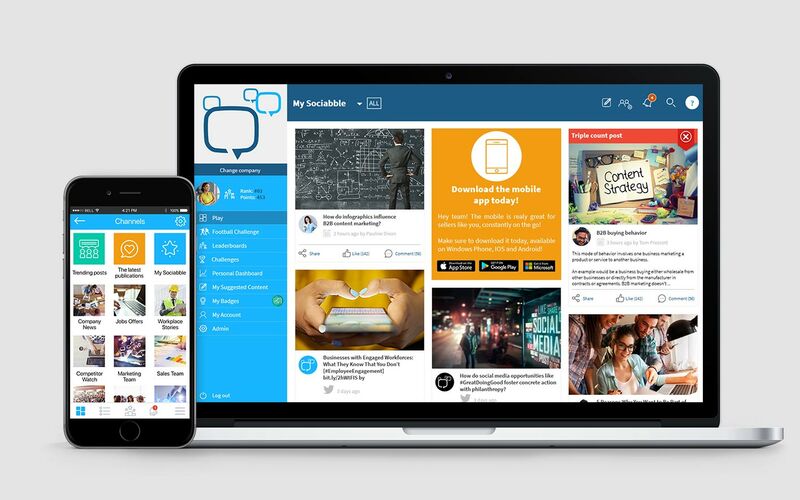 With Sociabble, administrators have total control of important news thanks to themed channels and pinned content. The company should be able to control precisely what content is shown to employees, when, and in what order. This should not be delegated solely to an algorithm. Administrators need to have the ability to make sure the most crucial pieces of news are prioritized, and reach employees before anything else. Employee content management is a top priority. This could be by country, by department, by employee type, etc. But not all news is relevant for every employee. This is especially true for larger companies—imagine, could a company of 10,000 employees manage with a single newsfeed? Separate segmented feeds are needed. Obviously, there are some pieces of news that companies want every employee to see. But there are others that are more voluntary, that some employees might find useful, and others not. That is why a solid newsfeed should accommodate both mandatory and subscription-based content. Each employee’s newsfeed will be different, with rules that are predictable, and very explicit. Sometimes, simply determining which content is given priority isn’t enough. If breaking news needs to be distributed immediately, and it’s absolutely mandatory that employees see it, something even stronger is needed. That’s why pinning is key. Company administrators should be able to pin (i.e. keep the item permanently attached as the lead item) the most pressing news to the top of the feed. But the user should still be able to access additional views on the newsfeed, for example the content with the best engagement, themes of interest, etc. It should still be accessible. How content should be displayed on the newsfeed. Doesn’t matter if it’s videos, audio, or other media. The content should be user-friendly, and be displayed inside the platform. Multi-photo management, playlist management, and other features should be included as well. Everything should be simple and intuitive. A good newsfeed is going to be showing content from varied sources: UGC, third-party, admin-created, etc. The sources need to be clear. It should be simple to share content on external social media websites as well. Employee content sharing is important. It can help bring a whole employee advocacy element to the equation, and improve positive brand awareness in the larger internet beyond. To maximize the engagement-level of content, it’s important to be able to manage the typical metadata: titles, publication dates, categories, content channels, if it’s “official” content, etc. It’s also important that such content can be pinned to global or other newsfeeds, and can be visually highlighted inside the feed if need be. It’s also helpful if the newsfeed can be visually “cleaned,” by hiding some pieces of content that aren’t as relevant or important. This cuts down on unnecessary visual and textual clutter, so that important messages get through. ✔ Complete administrative control of content? 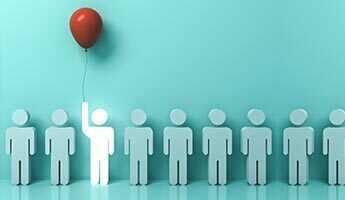 ✔ Channel segmentation based on employee type and interests? ✔ Mix of mandatory and subscription channels? ✔ Pinning capabilities for most important content? ✔ Embedded media players for multimedia content? ✔ Sharing capabilities for external social networks? ✔ Ability to hide unnecessary content for a cleaner newsfeed? Sociabble can do all of this. Plus a whole lot more. 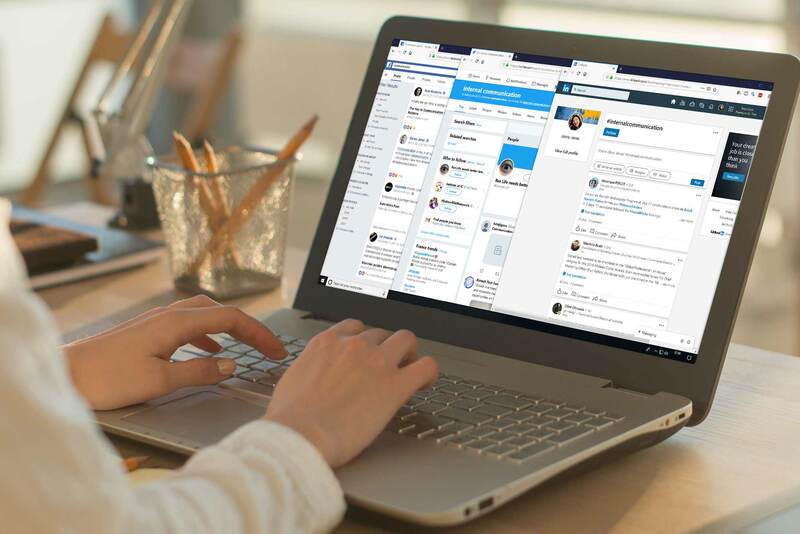 If you’re worried your current internal communication platform isn’t up to snuff, or if you’d like to start an internal communication program from scratch, Sociabble can help. Beyond a top-notch newsfeed, we offer a total online internal communication solution, with a host of features we’d be happy to talk about. And with clients ranging from Microsoft and Walt Disney to Coca-Cola and L’Oreal, we’re proud to say we’ve partnered with some of the very best around. To learn more about how Sociabble can help your company, click here for a free demo.